Friedrich Wöhler was a renowned German chemist who is best known the synthesis of urea, an organic compound, from ammonium cyanate, an inorganic salt, thus disproving the theory of ‘vitalism’, that organic substances can only be produced from living things. Wöhler was also the first person to isolate the metals aluminum in 1827 and beryllium in 1828. 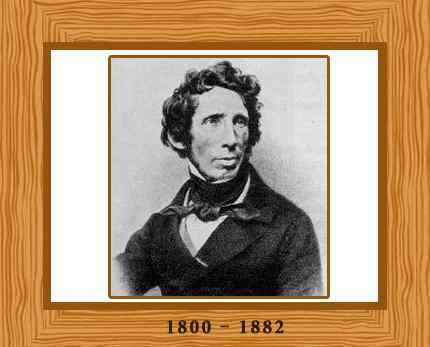 Friedrich Wöhler was a German chemist who was born on July 31 in 1800 in Eschersheim, Frankfurt, Germany. His family had been equerries for generations and his father, Anton August Wöhler, was a court official in Frankfurt. Friedrich attended the Gymnasium from 1814 to 1820. As a child he had a passionate interest in chemistry and collected minerals. In 1820 he began studying medicine at Marburg University, transferring to the University of Heidelberg after one year. In 1823, he obtained his medical degree, specializing in obstetrics. For over a year Wöhler studied mineral analysis in Stockholm. He also learnt the Swedish language and formed a close friendship with Berzelius. In 1825 Wöhler obtained a position at the Berlin trade school and in 1831 he was appointed to the Institute of Technology in Kassel. He married his cousin, Franziska Wöhler, in 1828 and they had two children. Unfortunately, Franziska died in 1832. The same year he married Julie Pfeiffer and they had four children. Wöhler became professor of chemistry at Gottingen University, Germany in 1836 and he remained there until his death in 1882. Wöhler was the first person to isolate the metal aluminum in 1827, by heating aluminum chloride with potassium, mixed together in a platinum container. He used the same technique to successfully isolate pure beryllium from beryllium chloride in 1828. Berzelius’ theory called ‘vitalism’ was questioned by Wöhler. The theory said that there were just two categories in which compounds fell, organic and inorganic. The theory proposed that it was only in the tissues of living creatures where organic compounds could be formed, by some ‘vital’ force. Based on this theory, it would therefore not be possible for organic matter to be synthesized from inorganic reactants. It was Berzelius’s belief that the rules for inorganic compounds could not be applied to the organic compounds. In 1828, Wöhler conducted an experiment with ammonium cyanate, heating lead cyanate and ammonia solution to form crystals of urea. Wöhler demonstrated that organic compounds could be successfully produced from inorganic reactants. His experiment made other chemists optimistic about developing organic substances from inorganic substances. The ‘vitalism’ theory was discarded when chemist Adolf Kolbe in 1845 created the organic substance acetic acid by combining oxygen, carbon and hydrogen. With this result, Berzelius’s theory of vitalism was finally completely discredited. Wöhler built up a working relationship with chemist Justus von Liebig and they collaborated on their research. In 1832 after the death of his first wife, Wöhler travelled to Giessen for seven weeks to work with chemist Justus von Liebig in his laboratory. They conducted useful research on oil obtained from pressing bitter almonds, discovering the benzoyl group (C6H5CO) and showing that it persisted unchanged through a series of compounds. Wöhler’s research contributions were less dynamic in later years due to his obligations and duties with his professorship. He managed the laboratories and he also served as the inspector general in Hanover for all pharmacies. Wöhler also spent a substantial amount of time translating the textbooks and research papers of Berzelius from Swedish into German. Additionally, his lifelong interest in minerals kept him occupied. He received many illustrations and geological samples from around the word, publishing around 50 papers on the subject. He taught a very large number of students, and helped establish of one of the first great teaching laboratories of Europe at Göttingen. In 1862,he was the first to produce acetylene gas(C2H2) from calcium carbide, by heating together zinc, calcium, and carbon. Wöhler was awarded he Copley Medal of the Royal Society of London in 1872. Wöhler died in on 23 September 1882 in Göttingen, aged 82.